Still decorating with incandescent Christmas lights, and wondering if it's finally time to switch to LED lights? Here's what you need to know to make an informed decision. LED Christmas lights use light-emitting diodes, rather than filament to produce light. This new technology makes LED lights more efficient, durable and longer-lasting than fluorescent incandescent lights. They don't burn out, like other bulbs; and they also don't get hot to the touch, so they're a lot safer, too. They also don't require a lot of maintenance. Since LED bulbs don't burn out -- just get dimmer over time -- you don't have to fuss with replacing bulbs and fuses. Just plug them in, and they'll light up reliably year after year. Since LED Christmas lights don't get hot to the touch, they're safe to use around your Christmas tree, wreaths and garlands. And they won't send your holiday electric bills sky high--even if you tend to go a bit crazy with the Christmas lights. 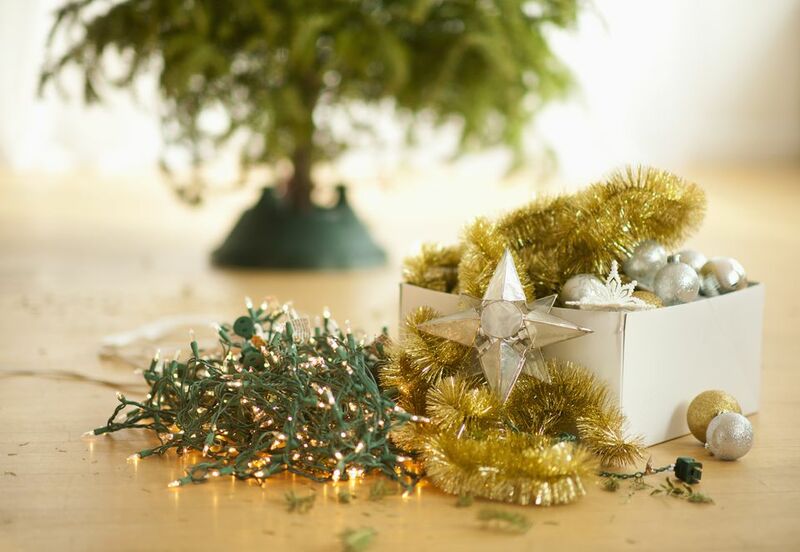 Just toss your lights in a box after Christmas is over, and pull them out again next year. Since the bulbs are plastic, you don't have to spend a bunch of time wrapping them to prevent breakage. LED lights continue to improve; the first generation LED Christmas lights weren't able to match the pure white light of incandescent Christmas lights. The light was much bluer, and understandably, that was a big turn off for a lot of people. However, LED Christmas lights are now available in both options. Choose cool white bulbs, if you prefer the blue tone or warm white bulbs, if you prefer more of a golden tone. LED lights typically have a higher initial cost when purchasing them compared to traditional bulbs. However, that cost will be offset over time with lower energy bills and the fact they don't need to be replaced as often. Take a trip to the store to look at the technology first-hand. Then, decide if LEDs are right for you. Most retailers have displays that allow you to try out the bulbs, and some may even have entire trees or displays decorated with them.